During the September school holidays, a group of Year 11 students and members of staff from De La Salle Ashfield (DLSA), travelled to Sri Lanka on the College's inaugural immersion trip. Immersion trips are designed to introduce students to Lasallian communities overseas and can help to encourage a greater sense of purpose, belonging and social responsibility to faith, service and community. The Year 11 students who attended, were Lewis Borg, Riley Dobbs, Brendan Hoareau, Cooper Inatey, Isaac Mauceri-Thompson and Thomas Panio and accompanied by teachers David Carter, Natasha Fox, Mr. Keen, Mr. Yeomans and Ms. Szwecow. The immersion created opportunities for Ashfield students to provide active service to others as well as opportunities for personal development. 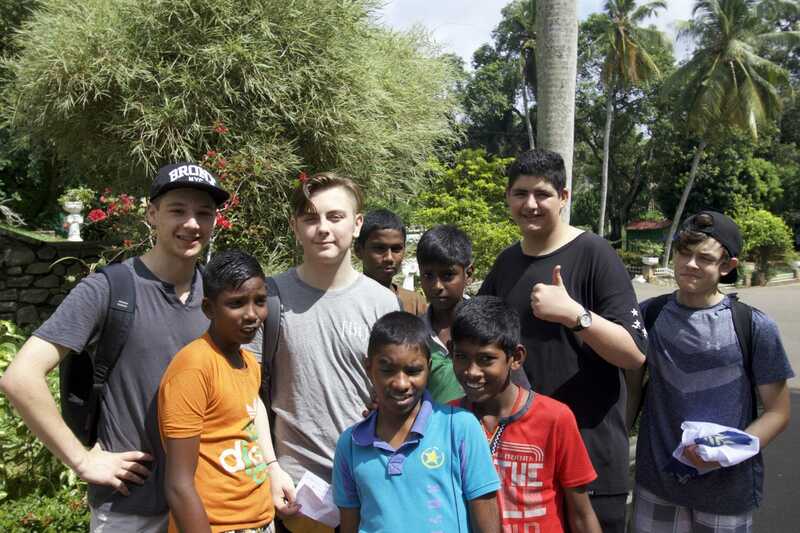 As a result of the Sri Lankan immersion trip, DLSA have started a partnership with Diyagala Boys Town, a Lasallian run Technical Institute that offers shelter and training to youth from underprivileged families. The collaboration with Boys Town, allowed staff and students to interact with one another while experiencing a diverse range of people, cultures, and faith. Before arriving at Boys Town, DLSA purchased a multi-purpose woodworking machine for their carpentry workshop with money raised through school BBQs and raffle tickets sales (thank you to the Ashfield College and local community for supporting this initiative). The new machine assisted the production of almost fifty bed bases for the students of Diyagala Boys Town, which was a physically demanding yet rewarding task for the Ashfield students. Boys Town were exceptionally grateful for their new beds. Despite the language barrier, the students developed close relationships with the Diyagala students and were sad to see their time together come to an end. 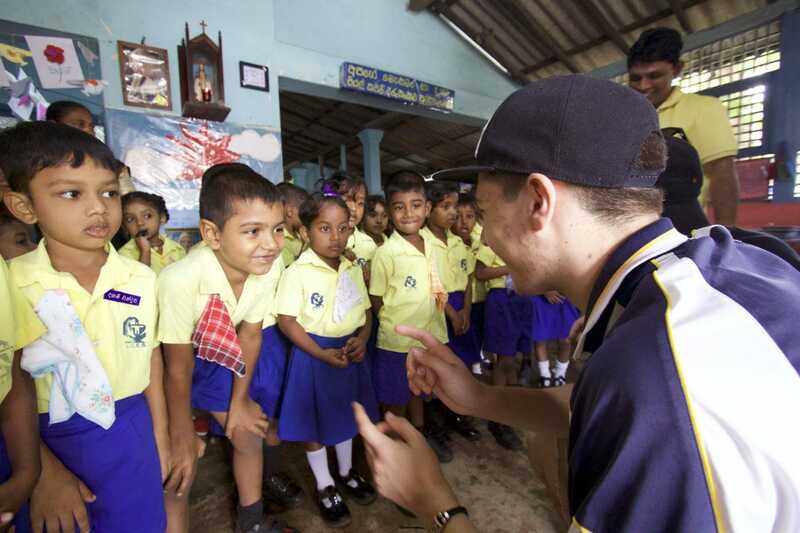 Time was also spent with the Lasallian Community Educational services, a project run by the Brothers in Colombo which offers pre-school education in the local slum areas and villages. In Sri Lanka, not attending pre-school can delay entry into primary or secondary education. DLSA spent a day visiting and playing games with the students of the local preschools, and an afternoon painting furniture at a preschool in a local fishing village. "My experience in Sri Lanka was nothing short of breathtaking. A very moving and motivating first-hand insight into the everyday lives of others who aren't as privileged as we are. From the moment I stepped out of the airport in Sri Lanka, I felt as though I was in another stretch of time. All the vehicles being driven around were aged and the climate sported a tropical and humid environment. While I witnessed basic lifestyles and little to no health standards accompanied by poverty, I witnessed the persistence and innovation that people have in order to keep moving forward. To me, it was clear that the underlying misconception that happiness stems from wealth, made me reevaluate how fortunate I am." Described as enriching and eye-opening, the immersion trip provided staff and students insight into the work that the De La Salle Brothers do in Sri Lanka. Staff members Natasha Fox and David Carter, would like to see their inaugural immersion visit becomes an annual experience offered to Year 11 DSLA students.